Today was the NBA trade deadline, and there were a record 37 players traded. The final 2 hours before the deadline were the most hectic and hard to keep up with. There were multiple multiple-team trades. A few teams just swapped their point guards, and the 76ers just stock piled more draft picks while dealing their best player in Michael Carter-Williams. The biggest losers in my opinion were, by far, the Phoenix Suns. They dealt key pieces to their team, like Goran Dragic, Isaiah Thomas, and a potential lottery pick from the Lakers. The only positive move out of these moves was sending Dragic to Miami because he made extremely clear that he wouldn’t resign with the team this summer when he becomes a free agent. Dragic wasn’t happy with how the team was treating him and he said that the felt like he was always backed into a corner. Now Dragic will be able to just be a point guard in Miami along side Dwayne Wade and Chris Bosh, and he will have a chance to contend for a title. The Suns also gave up Isaiah Thomas, who is an up and coming point guard in the league. He was going to likely replace Dragic when he left this summer. However, they did get Brandon Knight in return, who will try to fill the gap that Dragic left. The Suns also traded away the first round pick that they got from the Lakers. That draft pick will likely be a top 5 lottery pick. The Suns basically handed their playoff spot up to OKC with the deals that they made today. The biggest winners were the Milwaukee Bucks because they dished out Brandon Knight to Phoenix, but they got Michael Carter-Williams, Tyler Ennis, and Miles Plumlee. Jason Kidd was excited to receive Carter-Williams because of how young and talented he is. Jason Kidd now will get to mentor two point guards, in Carter-WIlliams and Tyler Ennis. The Milwaukee Bucks are currently sitting in prime position in the Eastern Conference to make a run to the Eastern Conference Finals. I do think that they can do this under the leadership of Jason Kidd, but it will be extremely difficult to do so with the like of the Cleveland Cavaliers and Chicago Bulls. The Celtics traded for point guard Isaiah Thomas. Thomas is averaging 15 ppg this year, the year before this season he averaged 20 ppg so he is a very solid player who is still kind of young (26 years old) The Celtics didn’t have to give up much, they only gave up Marcus Thornton and a 2016 first rounder via Cavs. The Utah Jazz big man wanted out of Utah, and he got his wish today, he was traded to the Oklahoma City Thunder. He will now be playing for a very very good team. Kanter is currently averaging 14 ppg and 8rpg. He will now be an important player for the Thunder. 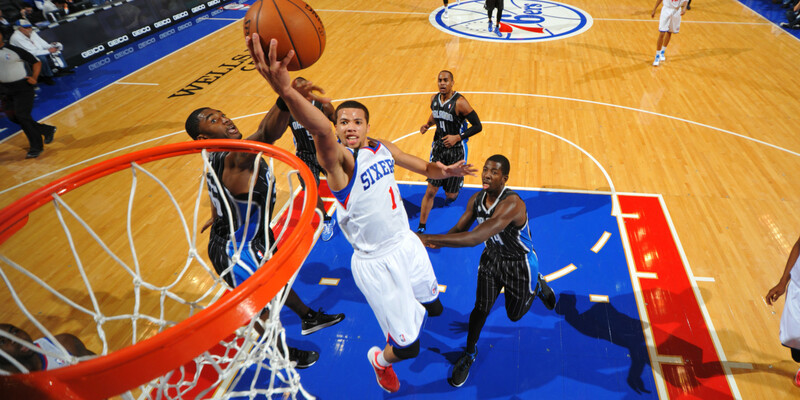 The 76ers traded former rookie of the year Michael Carter-Williams. They didn’t really get anything in return. They did get this years Lakers pick, but that pick is top 5 protected so the 76ers will most likely not be getting that pick. Even though he wanted to be traded, he didn’t get traded a to a very good team at all, the Pistons are probably not making the playoffs. He also wanted to get more consistent playing time at the PG position. Considering that the Pistons still have Brandon Jennings, Jackson might not even be a starter for this team.